Technology moves quickly and it can seem like manufacturers are forever shifting the goalposts. FUSION Electronics have come to the rescue with the innovative Marine UNI-Dock™ (MS-UNIDOCK). The revolutionary UNI-Dock™ supports the widest array of smart phones, media players and USB devices on the market. Compatible with FUSION’s innovative MS-AV650, MS-AV750, MS-RA70, MS-RA70N, MS-BB100, MS-BB300, MS-AV7000, MS-AV700i, MS-IP700i and MS-RA205, the new UNI-Dock™ allows users to enjoy on-the-water entertainment from an extensive range of Apple and supported MTP (Media Transfer Protocol) enabled Android and Windows smartphones. Three adaptor cables are included with the UNI-Dock™ (1xUSB - Apple 30Pin, 1xUSB - Apple Lightning, 1xUSB - MicroUSB) for convenient connection to the widest range of supported devices. Not only is FUSION’s UNI-Dock™ more versatile, it also has the ‘True Marine™’ stamp, meaning it’s designed and tested especially for harsh marine environments, rated IPx5 Water resistant (on the front when correctly bulkhead mounted). 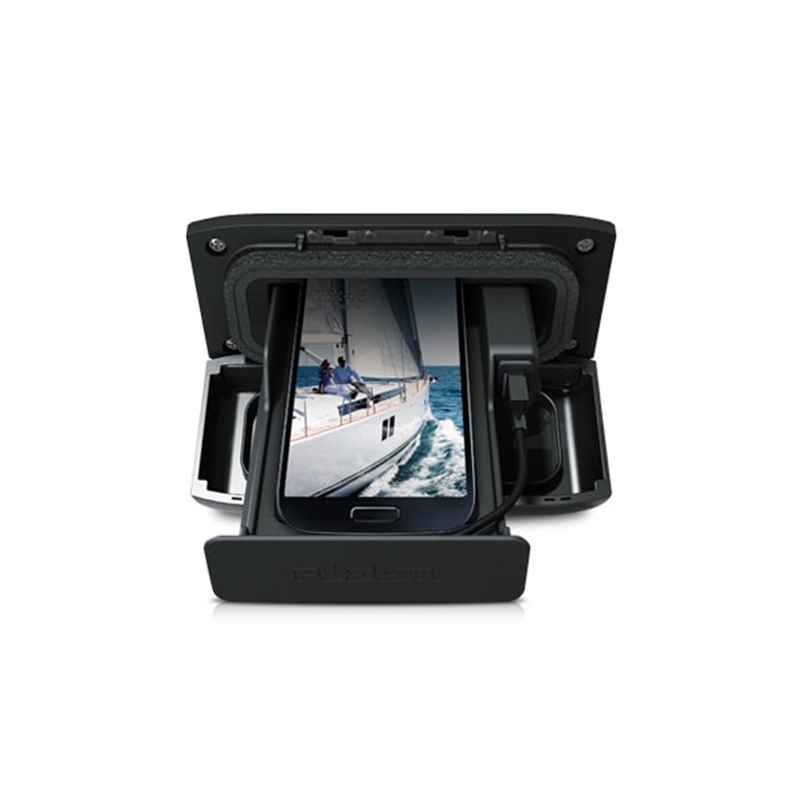 The UNI-Dock™ features a generous tray size to protect and charge a variety of devices, including the Samsung Galaxy S6 and iPhone 6s, with more products gaining compatibility constantly. 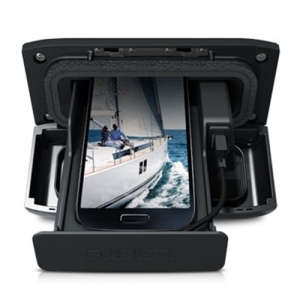 The future of marine entertainment, FUSION’s UNI-Dock™ gives users unparalleled flexibility in mobile entertainment integration. Protected by a three-year True-Marine™ warranty, FUSION Electronics’ UNI-Dock™ is the smart choice on-board. Note: iPhone 6, iPhone 6 Plus and 6s Plus and iPhone 7 Plus will not dock inside the UNI-Dock, please use your Apple sync cable or the Bluetooth streaming option. The FUSION Signature Series Marine amplifiers are purpose built for the marine environment, boasting some of the most impressive environmental protection available, to deliver a Signature performance on the water like never before. Introducing our most efficient, stunning and powerful marine amplifier. The True-Marine SG-DA51600 will resist corrosion and the incredible 1600 watt output (peak) will power 4 speakers and 1 subwoofer with ease. The SG-DA51600 is FUSION's first 5 Channel Class-D Hi-Fi Marine amplifier; the key benefit of a Class-D amplifier is low battery drain with a high output, making this the perfect amplifier for the marine environment. The SD-DA51600 has conformal coated PCB's for maximum product life and performance plus the amplifier chassis is a heat sink; reducing component core temperature and increasing efficiency. TP32 on usaldusväärne autopiloot roolipinniga paatidele pikkusega kuni 37 jalga. Madal energiakasutus ja täpne juhtimisvõimekus koos minimaalse müraga, aitavad sul nautida purjetamist veelgi rohkem.